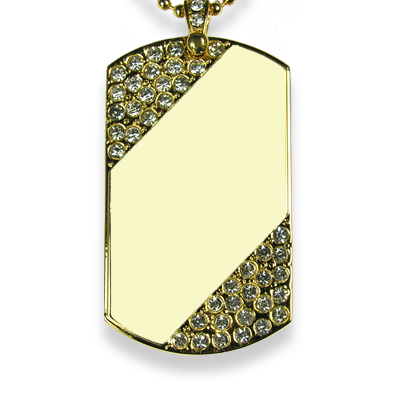 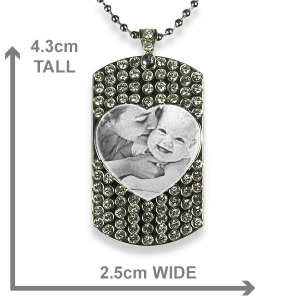 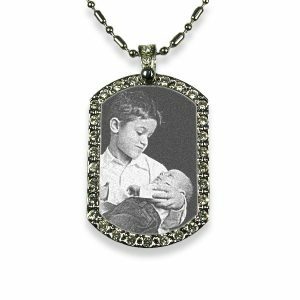 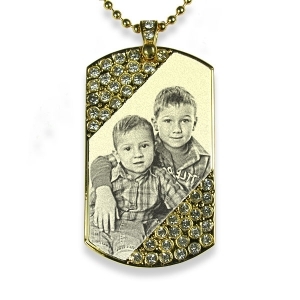 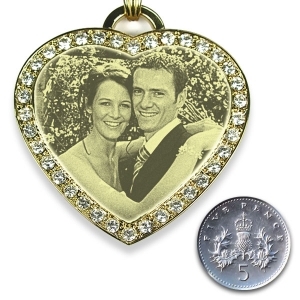 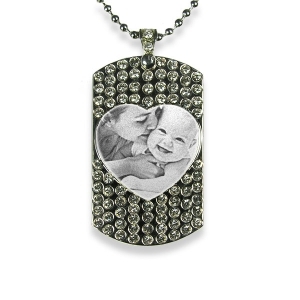 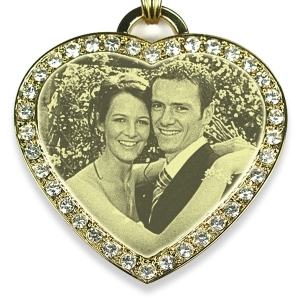 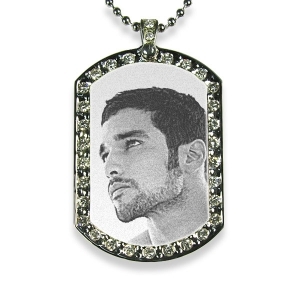 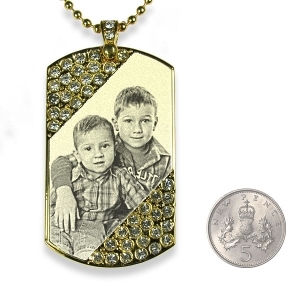 This is a gold plate diamante stone encrusted Portrait Pendant which can have a photo of a loved one etched on the broad stripe which crosses it diagonally and a dedication can be engraved on the reverse face. 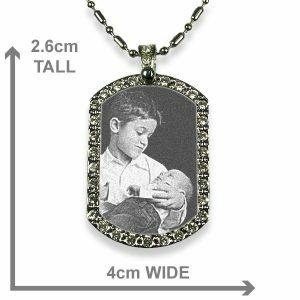 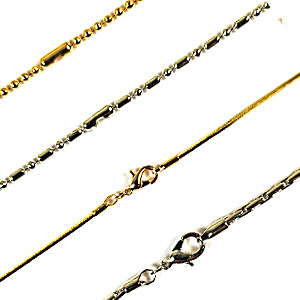 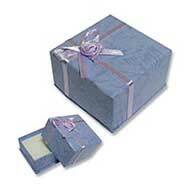 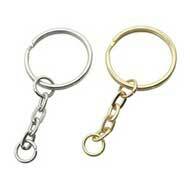 As a keepsake of someone you are close to it will make a big impression on friends and family. 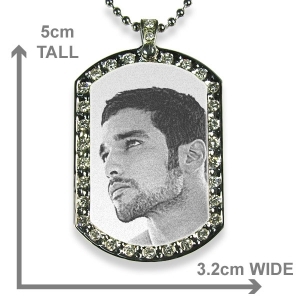 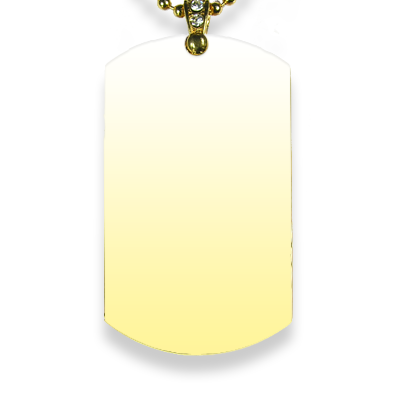 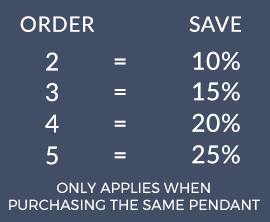 Upload a photo to see how it suits this photo pendant. 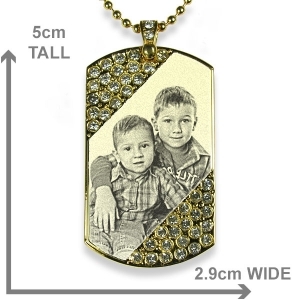 If the photo does not fit look at the full selection to find one better suited.